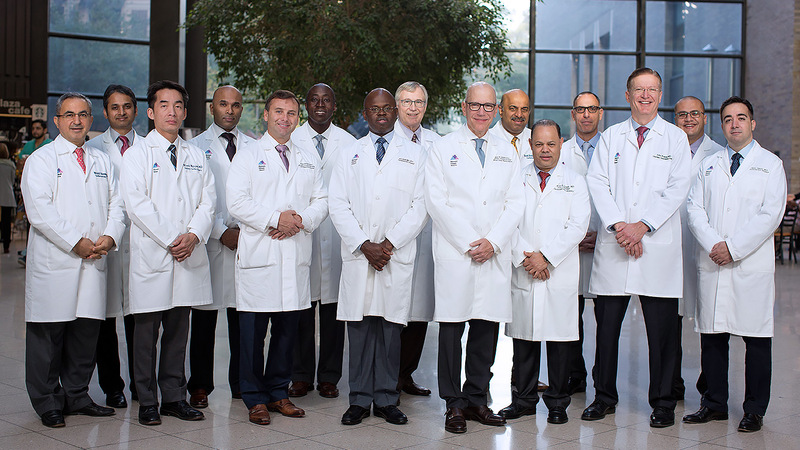 The Department of Cardiovascular Surgery at The Mount Sinai Hospital is one of the most prestigious programs in the nation. The 2017–2018 U.S. News & World Report “Best Hospitals” issue ranked the cardiology and cardiovascular surgery institute, Mount Sinai Heart, as one of the top 10 in the country. 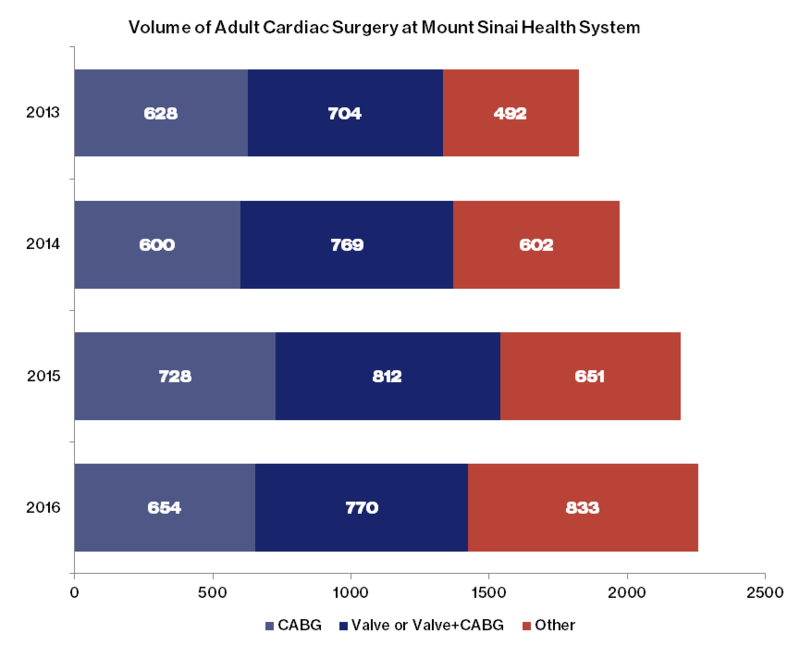 The Mount Sinai Health System is one of the highest-volume cardiac surgery centers in the United States, with physicians experienced in a wide array of procedures, including coronary artery bypass grafting (CABG), valve, and valve plus CABG. 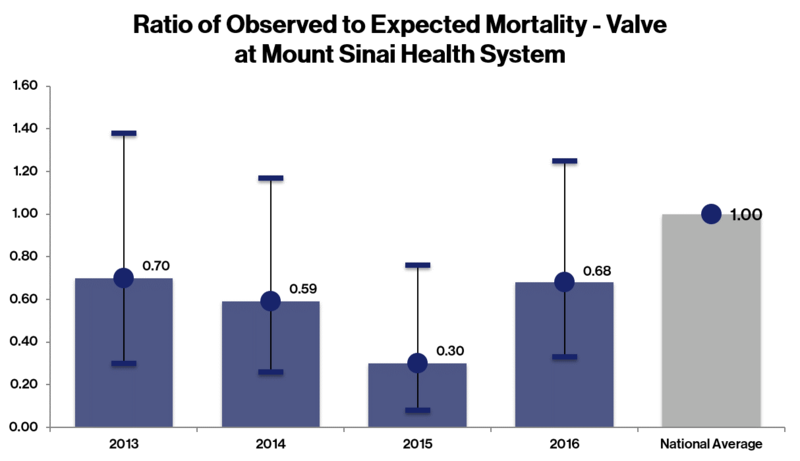 Specialists at Mount Sinai are widely recognized for their excellence in cardiac care and their ability to blend research into clinical practice. Outstanding outcomes and an unwavering commitment to quality, safety, and patient satisfaction greatly benefit a large volume of national and international patients and their families every year. Cardiovascular surgery patients receive integrated and personalized care plans coordinated by world-renowned clinical cardiologists, experts in imaging and advanced diagnostic testing, cardiac anesthesiologists with expertise in perioperative transesophageal echocardiography, and specialized intensive care physicians. This multidisciplinary and comprehensive approach, in conjunction with continual enhancement of surgical technology and facilities, has led to a global reputation for cardiac surgical excellence. In addition, the Department of Cardiovascular Surgery at The Mount Sinai Hospital is an international hub for complex heart valve procedures and reoperations due to its surgical rigor and exhaustive risk assessment. 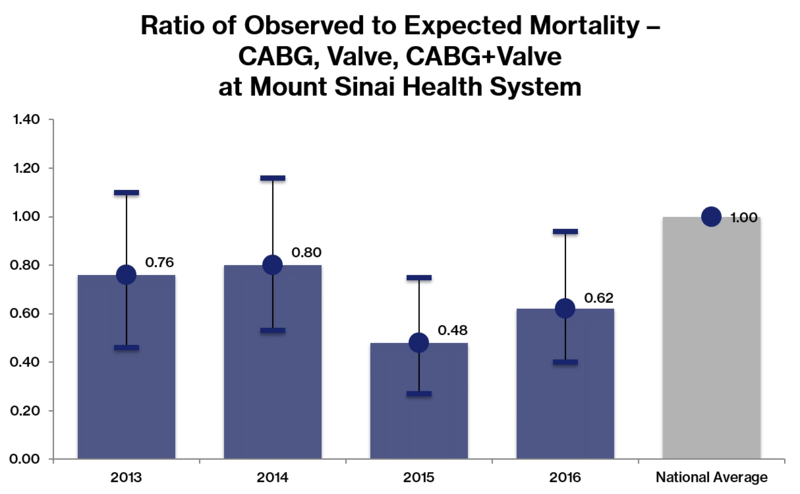 The rates of observed to expected mortality at the Mount Sinai Health System are significantly lower than the Society of Thoracic Surgeons benchmark for valve operations, CABG, and combined valve plus CABG operations.